The Northwest Austin Circle of Friends is proud to be celebrating our 22nd year of raising funds and awareness for Dell Children’s Medical Center. This state-of-the-art facility offers children in a 46-county service area access to a full continuum of care from the area’s prime pediatric specialists – regardless of their family’s ability to pay. With the generous support from the community, our volunteer group has successfully raised over a million dollars! To reach our goal of $100,000, WE NEED YOUR HELP! 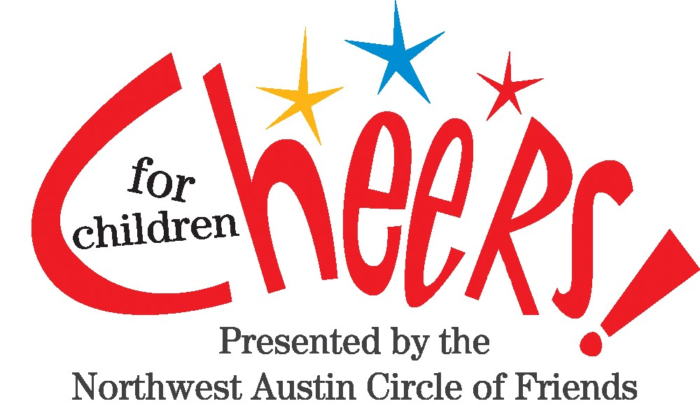 Please join us for our 20th annual Cheers for Children Wine, Bourbon and Food Tasting event on Saturday, March 2, 2019 at First Texas Honda. Our group helped fund the Grace Grego Maxwell Mental Health Unit that opened in May 2018 at Dell Children’s Medical Center. This mental health unit provides much-needed outpatient and inpatient care. Hundreds of children have been admitted already receiving an age-appropriate expert level of care that did not previously exist in Central Texas. The prevalence of mental health disorders among youth in this region is a true public health crisis. It is an honor to partner with the Dell Children’s team and devote our efforts to supporting the important work of providing mental health care to the children of Central Texas. “There is no health without mental health,” says Dr. Kevin Stark, Clinical Director of Psychology, Texas Child Study Center. The funds we raise this year will be dedicated to the Texas Child Study Center Endowment to ensure that children and adolescents in Central Texas will have access to mental health care at Dell Children’s.